DSLR cameras have been at the forefront of photo technology for two decades now. But a newer kind of photo gadget is starting to challenge DSLRs for the lead – mirrorless cameras. You might not know exactly what they are, but you’ve probably heard of them, because they’re hot in the photo world right now. Whether you should buy one or not, though, depends on your needs as a photographer or videographer. How is a mirrorless camera different from a DSLR? The big difference between a mirrorless camera and a DSLR comes from how their image sensors and viewfinders work. Image sensors are the chips inside cameras that capture the photograph by detecting and recording the light coming into the camera. Viewfinders, meanwhile, are the part of the camera that you look through to compose a shot; they typically include a small optical lens are are placed at the top of the camera. DSLRs use a mirror system, which bounces the light coming through the main camera lens up to the viewfinder. When you press the shutter button, the camera flips the mirror out of the way and the image sensor is exposed to light. The advantage of the mirrors is that they allow you to see frame a shot precisely the way the image sensor will record it. As their name suggests, mirrorless cameras don’t have a mirror. Instead, their image sensors are continuously exposed to light. Because they lack mirrors, mirrorless systems tend to be significantly smaller than DSLRs. Most digital cameras, such as point-and-shoot ones, are technically mirrorless, so they generally don’t look like DSLRs. But many of the mirrorless cameras that have the latest advances perform, operate, and resemble DSLRs. How do you compose a shot on a mirrorless camera? Many mirrorless cameras feature a digital viewfinder, which displays what the image sensor is seeing. This works a lot like an optical viewfinder on a DSLR, but you’re looking at a small screen instead of a reflected image. The digital viewfinder works similarly to the live-view feature found on many contemporary DSLRs. That feature uses a rear LCD screen to display what the sensor is seeing in real time. 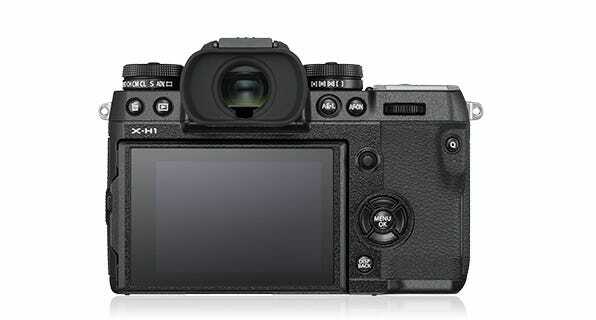 Like DSLRs, many mirrorless cameras have a large LCD screen in addition to their viewfinders. So when you compose a shot, you have your choice of screens. One advantage of digital viewfinders over the optical ones on DSLRs is that they will give you a pretty good idea of what the final shot will look like before you shoot it, taking into account your exposure settings in real time. An optical viewfinder, by contrast, will only show what the scene looks like to your eye. Mirrorless systems have a big drawback due to their digital viewfinders. The one big downside of a digital viewfinder is it weighs heavily on battery life. It takes a significant amount of energy to power the viewfinder’s display, something you don’t have to worry about with the optical viewfinder on a DSLR. As a result, the battery in a mirrorless system will typically drain faster than in its DSLR counterparts, at least when shooting still images. But the digital viewfinders can provide an advantage when shooting video. When shooting video on a DSLR, you’re restricted to using the live view mode on the rear screen. This can easily chew away at your battery if you’re not careful. Since mirrorless cameras have digital viewfinders, you don’t have to eat away at your battery life by powering a large screen on the back of the device (although most mirrorless cameras do feature a rear screen that you can use for video if you want). Therefore, if you’re planning on shooting a lot of video, mirrorless cameras can have an upper hand when it comes to battery life. Mirrorless cameras also have an advantage when it comes to size — since there’s no mirror system, they tend to be a lot smaller than DSLRs. The lack of internal mirror mechanics allows mirrorless cameras to be just as powerful as DSLRs, without the bulk. High end DSLRs can get quite large, which can be uncomfortable if you’re carrying the camera around all day or wearing it around your neck. Worried about shutter sound? Mirrorless cameras can operate almost completely silently. When you press the shutter button on a DSLR camera, the internal mirror needs to flip up so the sensor can be exposed. This results in the iconic shutter sound that is ubiquitous with traditional photography. There’s nothing inherently wrong with shutter sound – it can actually be satisfying. But in some shooting situations, silence can be a huge benefit. If you’re shooting at an event like a recital or somewhere a loud shutter sound would be considered rude, a mirrorless camera can offer you almost silent shooting, since there’s no mirror that needs to be flipped. The elephant in the room is price — mirrorless cameras that perform like a DSLR don’t tend to come cheap, although that could change as the technology improves. We’re still pretty early in the life of modern mirrorless technology, at least when it comes to DSLR-level performance. 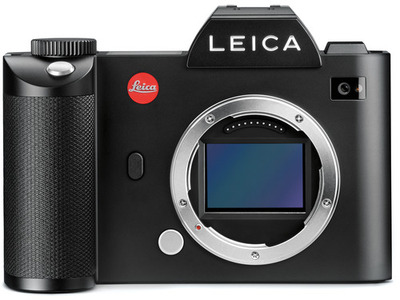 Thus, mirrorless cameras are inherently going to be pretty expensive. 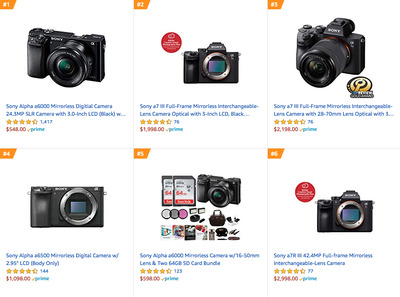 If you don’t absolutely need a mirrorless camera, there’s a pretty good chance you’d be better off buying a DSLR that performs just as well, but cheaper. 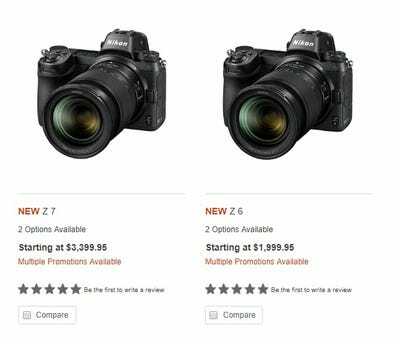 If money isn’t an issue, however, mirrorless cameras are an example of exciting and promising new tech, and you probably won’t regret the purchase. Although it took a while, the big names in camera tech like Nikon and Canon are jumping into mirrorless cameras. Companies like Sony and Fujifilm got into mirrorless technology well before Nikon and Canon. 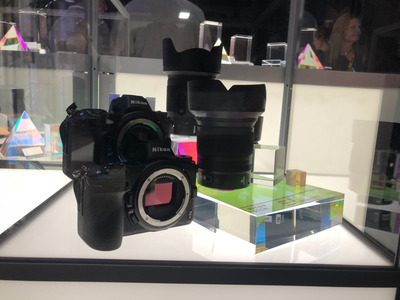 Although it was slow to the punch, Canon introduced its EOS-R mirrorless system this year, and Nikon’s Z mirrorless series just launched as well. So if you’re already invested in a particular brand’s camera ecosystem, there’s a good chance you can find a mirrorless option that will allow you to use some accessories like lenses. However, you’ll likely need an adaptor for your old lenses, as many new mirrorless cameras use a new lens mounting system. Here’s a look at what kind of mirrorless options are on the market today. First: Sony. For a full list of Sony’s full frame mirrorless cameras, click here. For crop sensor cameras, click here. Next is Nikon’s Z series. Click here to visit Nikon’s mirrorless store page. 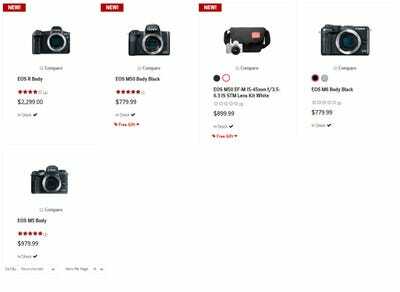 Visit Canon’s mirrorless store page here. 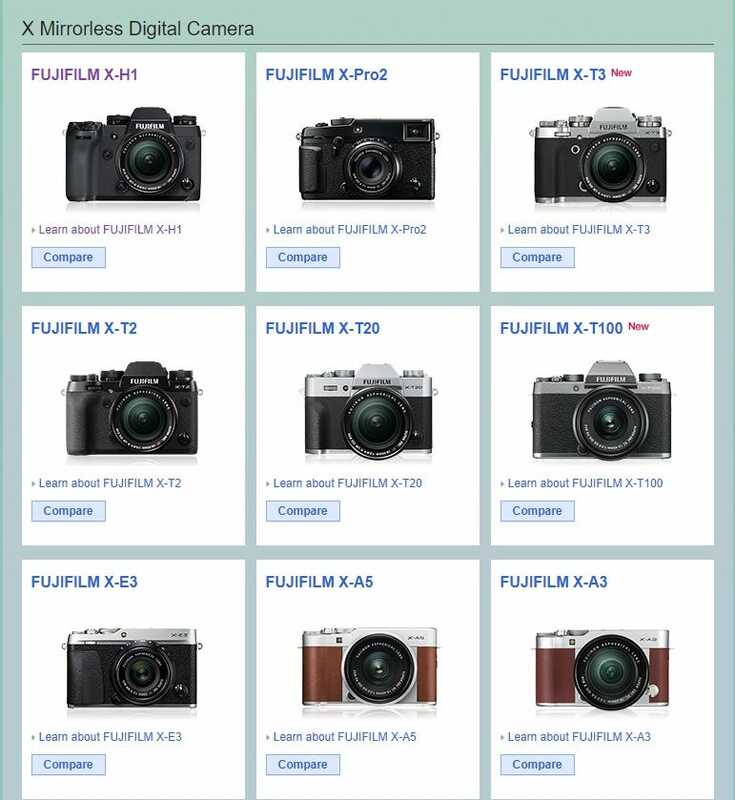 Here are some of Fujifilm’s X series mirrorless offerings. To see all of Fujifilm’s X series, click here. However, these are hardly the only options when it comes to mirrorless cameras. 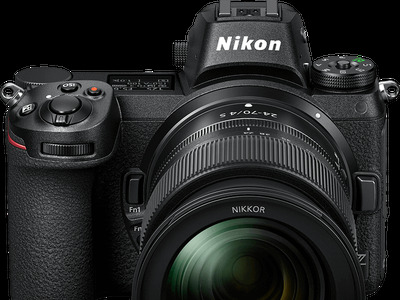 Although Nikon and Canon are two of the biggest names in photography, plenty of companies have been offering mirrorless cameras for a while now. B&H Photo offers a pretty comprehensive list of mirrorless cameras, available here.